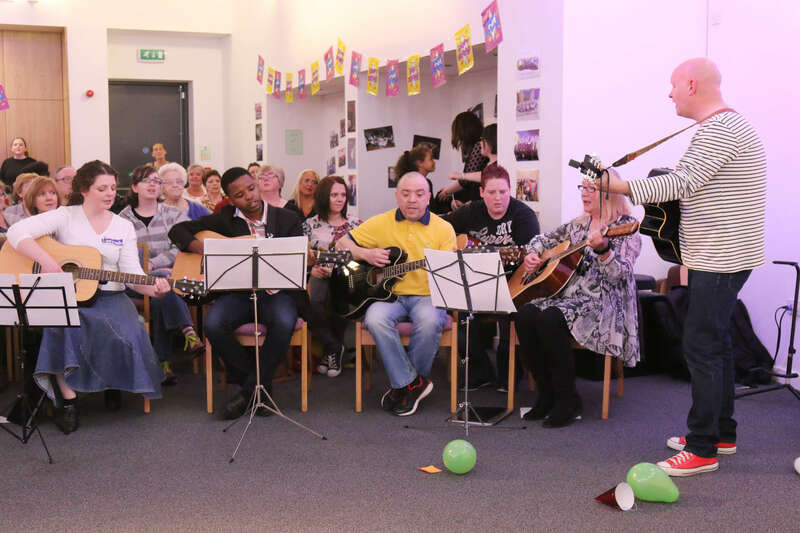 Strum for Life is our community guitar class for all ages, taking place every Wednesday evening from 5.30 – 6.30pm at Gorbals Parish Church, 1 Errol Gardens. 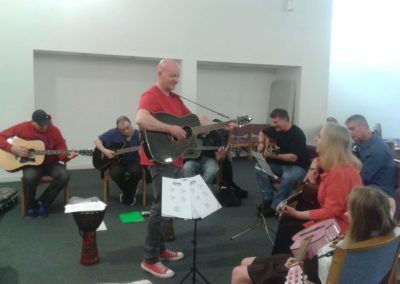 It doesn’t matter whether you’re a complete beginner or you’ve been jamming for years – we cater for everyone! 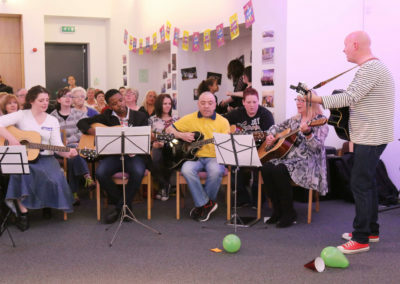 Guitars are provided (or you can bring your own) and the classes are based around learning to play favourite songs together (no matter what level you are). 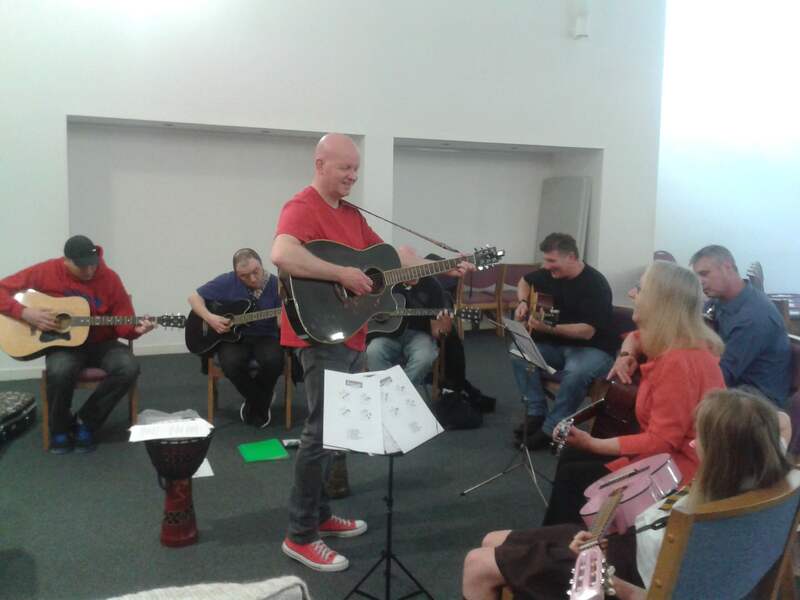 The class is led by the brilliant Neil Sturgeon, an experienced professional guitarist (and thoroughly nice bloke!). It’s totally FREE and we perform around the Gorbals – come and give it laldie with us! Anyone and Everyone is Welcome!